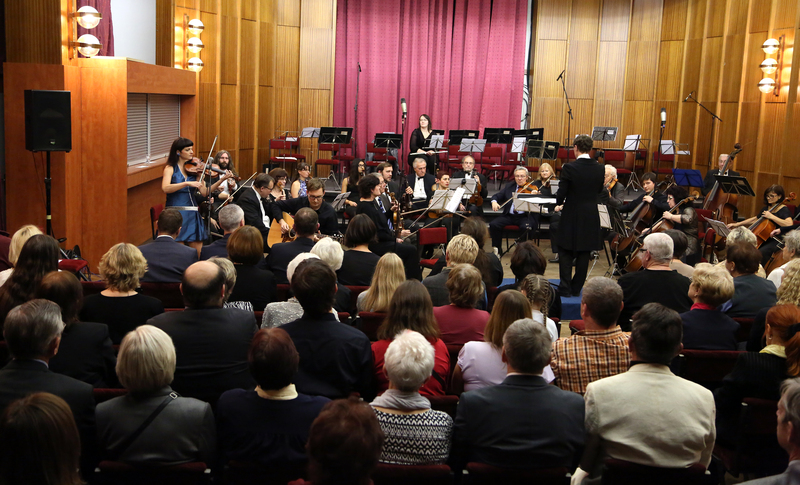 Last week we gave a concert with my duo with Vojtěch Jindra ( the fiddle and the acoustic guitar) together with the Symphonic Orchestra of Kladno. We played our compositions from our brand new Neotrad CD together with a couple of melodies that Vojtěch arranged for the duo and the orchestra. Apart from compositions we decided to arrange and play the beautiful and famous Irish traditional melody Inisheer, called after the smallest and the most eastern island among the Aran Islands on the west coast of Ireland. I visited those islands several years ago….When you survive these rather rough sailing moments on the boat from the port of Dingle, besides the warm and soft sweaters made from the Aran wool you discover the real music form of ” air ” in the most traditional and authentic singing way you can ever imagine! The way the singers use silence as a part of their session performance is just stunning! We have played this tune for the first time spontaneously inspired at a friend’s wedding. Castles in the Sand – Vojtěch’s composition from our Neotrad CD. In the town of Písek in the Czech Republic, on the riverbank, there are some sand figures. Only drunks and stray cats know the sculptures live their own lives. Like human existence, the time of the sand figures is limited. Their noses and hands fall off….It is not metaphysics: after knocking off a bottle on a dusky riverbank you realize you are made of sand as well. A gust of wind and a turret goes off; a wave comes up and the whole fort disappears into the wide sea. Playing these melodies with the power of all the strings and winds behind your back was amazing. A video by Daniel Vojtíšek coming soon!